This enchanting engravable pendant is from Posh Mommy. 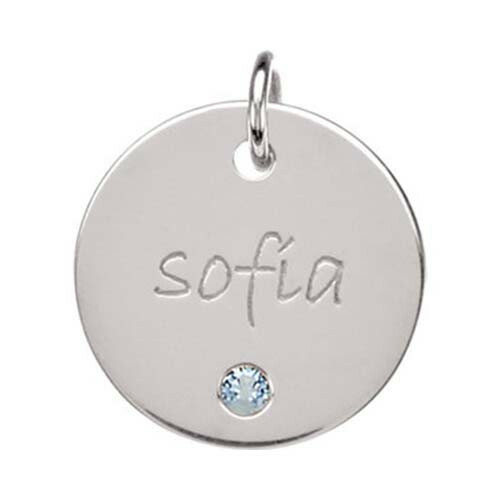 Crafted in sterling silver, it's shaped in a circle and features a synthetic aquamarine, the birthstone for March. It makes a great gift for a new mom, and also for Mother's Day! There's room for eight characters; choose either a name or special date. The pendant is a round and radiant way for her to showcase one of the loves of her life beautifully! You can present it on a chain, sold separately.